Horses don't get to choose their owners, and sometimes those owners don't have the financial ability to care for special health needs the horse may develop. That's where our HIPNOM project comes in. EET financially supports equine practitioners trained in special therapeutic techniques (like the Masterson Method) that will alleviate pain or discomfort in horses. HIPNOM has saved horses who were misdiagnosed with ailments that would have had them put down, and through equine massage techniques allowed them to not only avoid death- but thrive again. Another element of HIPNOM is funding the training of people already in the equine industry to learn additional techniques to help heal horses so that they can fully thrive at the job they already love, and help even more horses in pain. Follow our "News" section above or sign up for our newsletter to get updates of our success stories. Terry Erlwein is mentoring Darlene Dubacher, an employee of LifeSaver's Wild Horse Rescue, on a recently rescued horse. Darlene, who just passed her Advanced Training in the Masterson Method, is learning to read the horse's response to restrictions and pain. 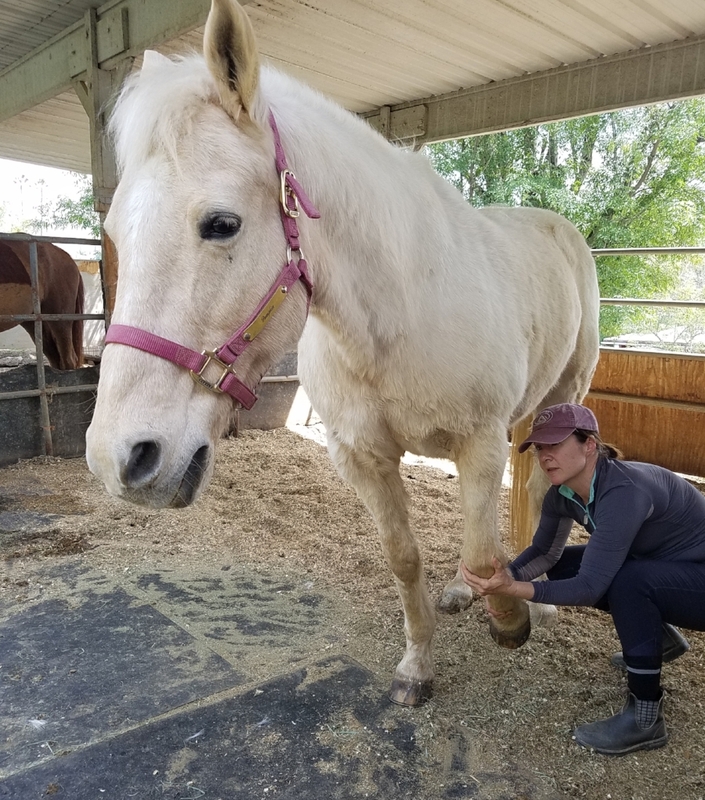 Sage, an 11 year old injured cutting horse that was part of the Heavens Ranch rescue program, is receiving a full treatment and evaluation from Will Friday (Certified Practioner of the Masterson Method). Sage was subsequently adopted with an assist from Annee Capelle of Heaven's Ranch. 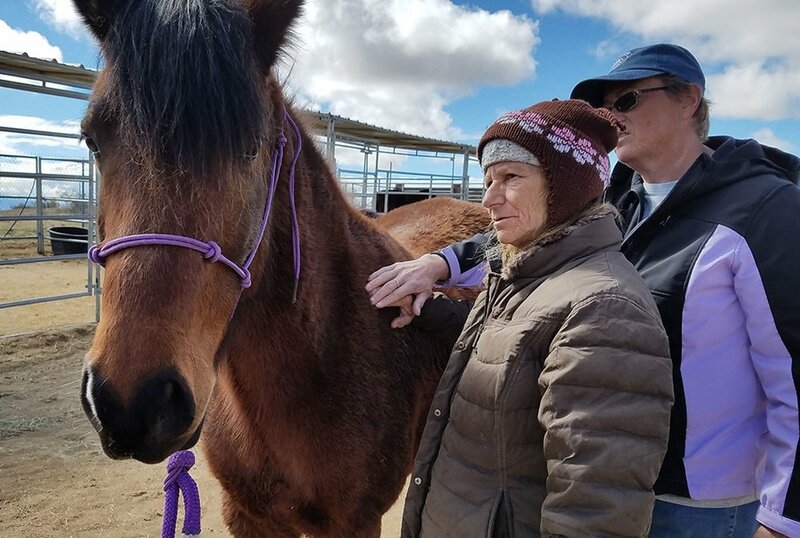 Terry Erlwein, a Certified Practitioner of the Masterson Method and a certified Masterson Coach, is working closely with an abused horse at Lifesaver's Wild Horse Rescue and successfully healing physical pain and rebuilding trust. Riff Raff has since been adopted to new loving owners because of the dedicated work of Terry and Lifesaver's. Marce Olson, a Certified Practitioner of the Masterson Method, is working with Pumpkin at Special Spirit Therapeutic Riding Center. Pumpkin lives at Special Spirit and is one of the horses that is used to work with special needs individuals.